Ideal for counting, sorting, measurement and plain old construction! The creative possibilities are endless. 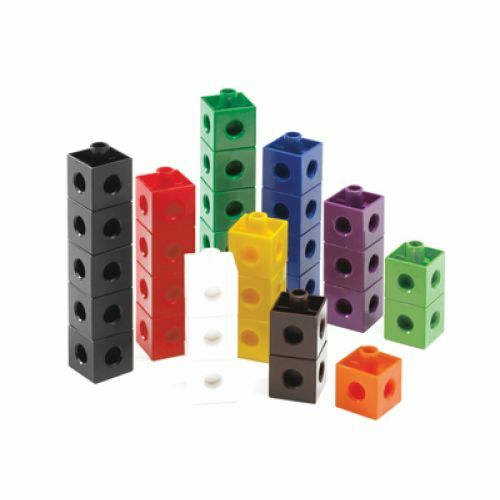 2cm Linking Cubes; Linking on all six sides, 10 colours.